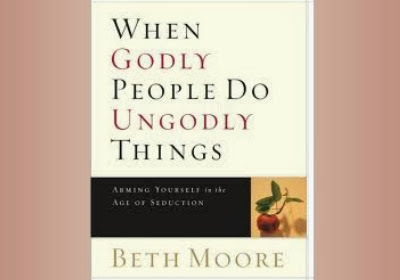 Beth writes with a passion fueled by the Biblical warnings of the schemes of Satan’s seductive activity and the broken-hearted concern of a teacher who receives countless letters from repentant Christians limping on the road to finding restoration. Delivering dire warnings to Christians to safeguard themselves against Satan’s attacks, Beth also reveals how you can know if someone is vulnerable. Beth writes, “We, Christ’s church, are in desperate need of developing His heart and mind in issues like these.” She fears that often God is far more merciful than the Body of Christ is with the deeply repentant and those desperate to find their way home. When Godly People Do Ungodly Things will be a guide to authentic repentance and restoration.